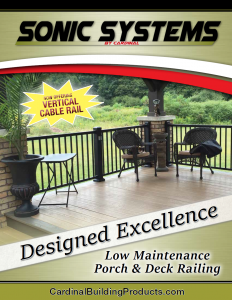 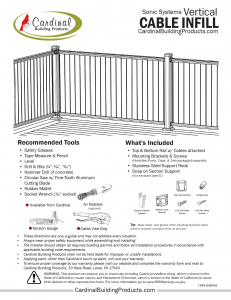 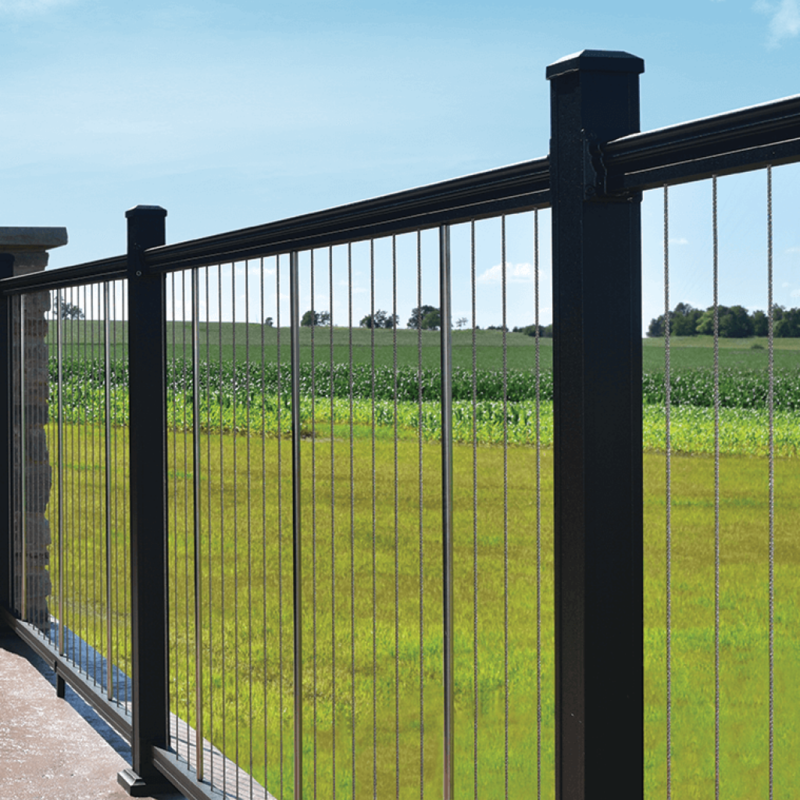 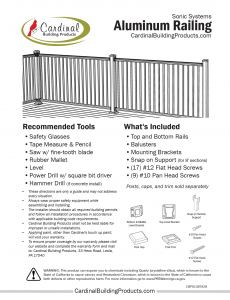 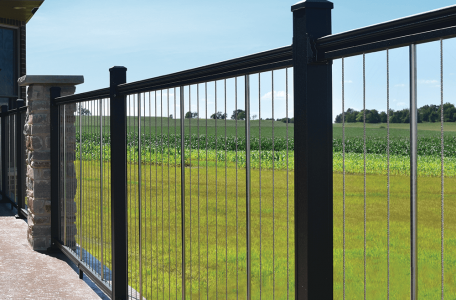 The Sonic Systems Line of low-maintenance railings will be an excellent addition to your next home improvement project. 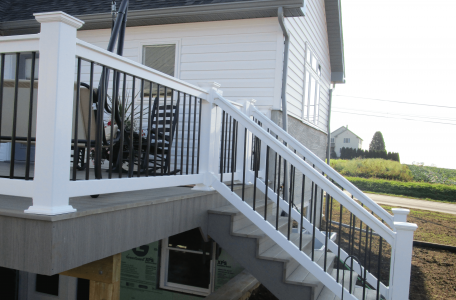 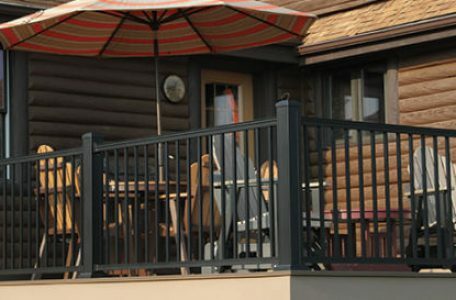 Sturdy, quiet, and aesthetic, the Sonic Aluminum Railing Line is the perfect cost effective aluminum railing solution. 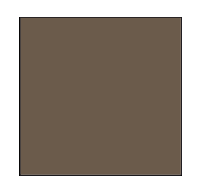 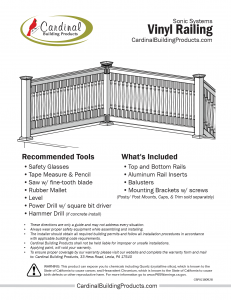 Meeting today’s building product needs without giving up style or performance. 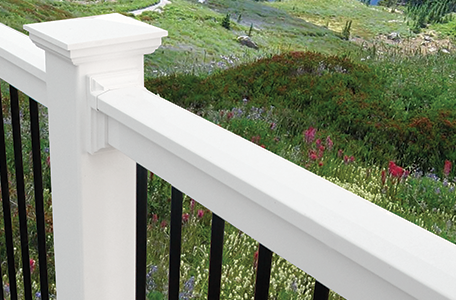 This low maintenance vinyl looks as good as it performs in a popular beveled T-shape. 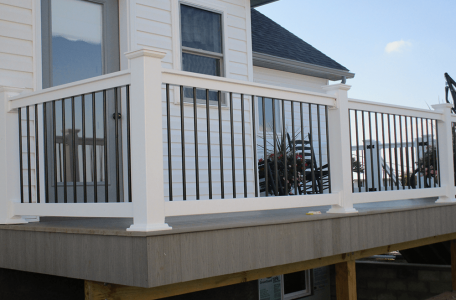 Top & bottom aluminum channels that provide both strength & stability. 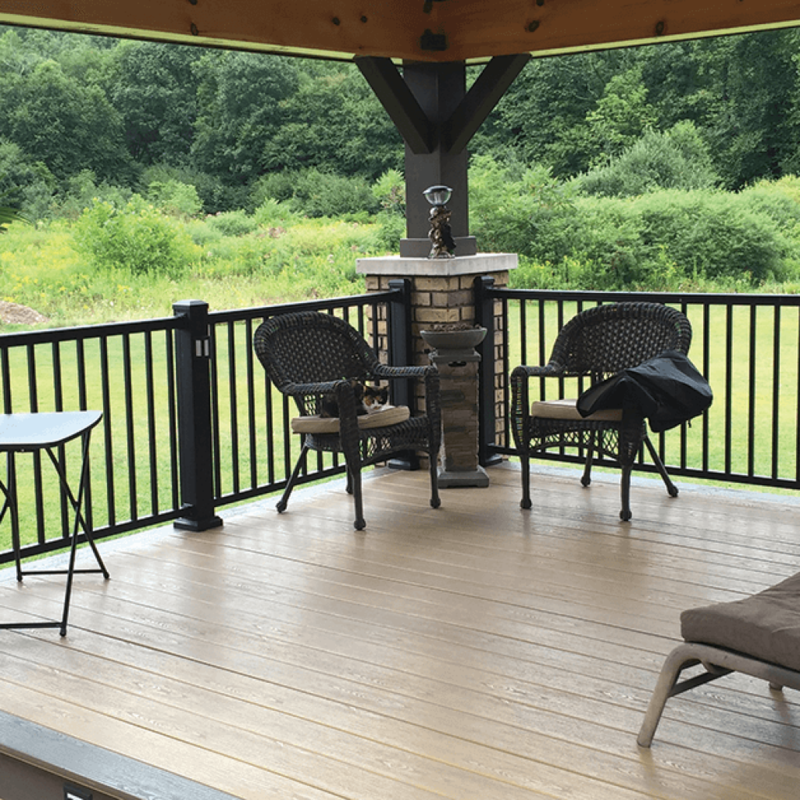 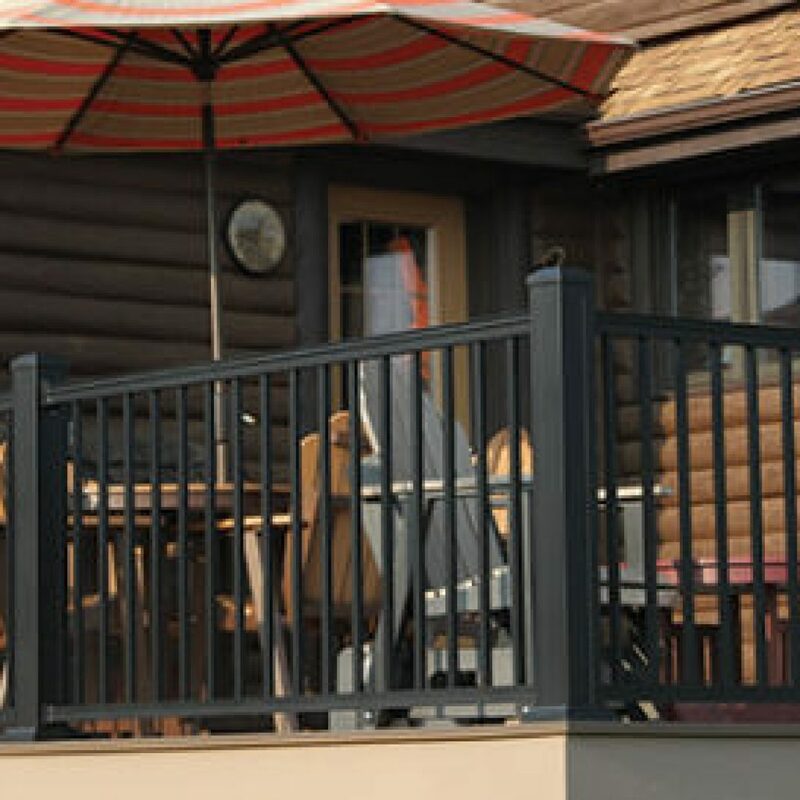 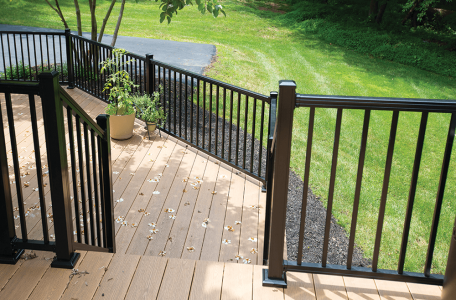 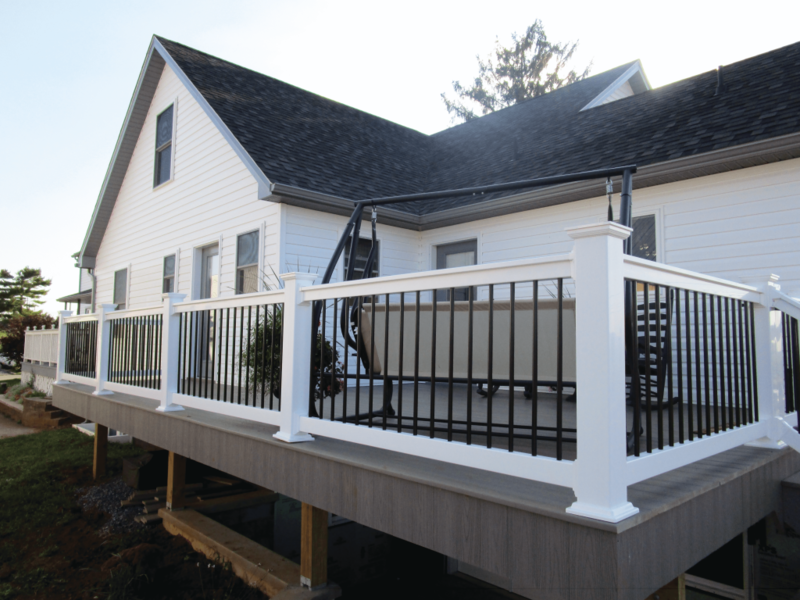 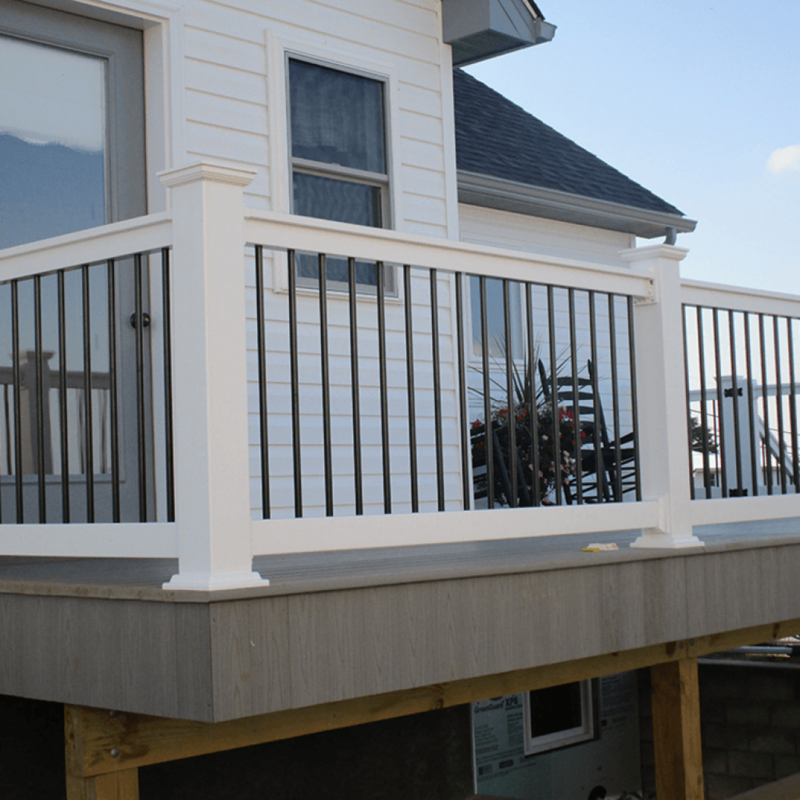 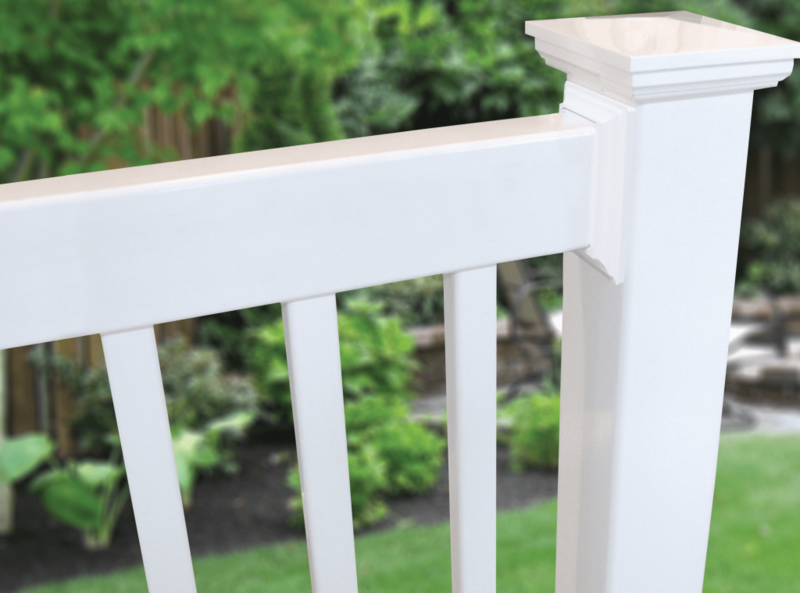 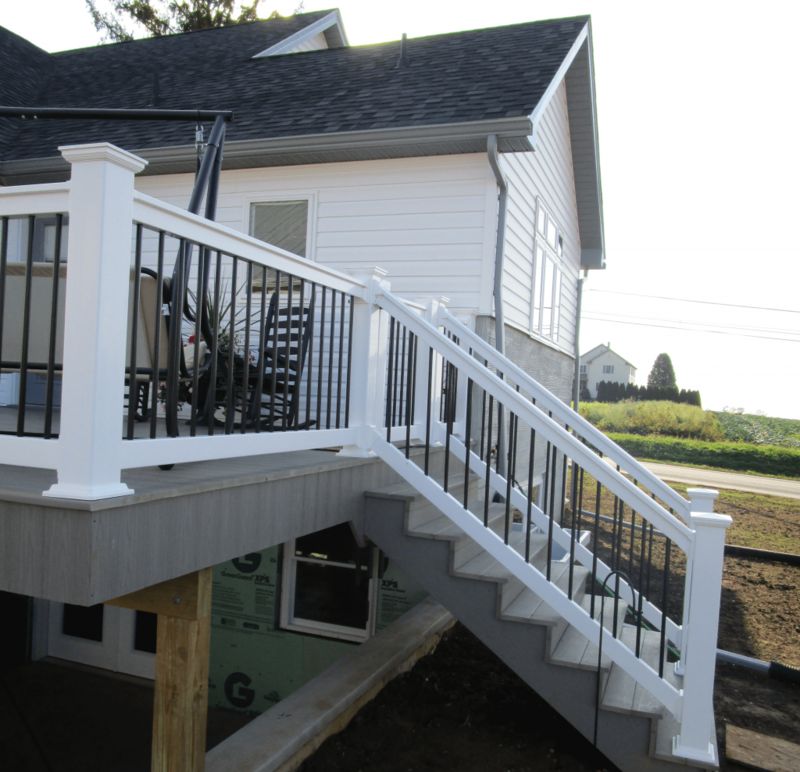 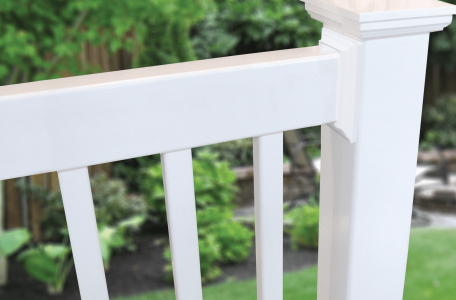 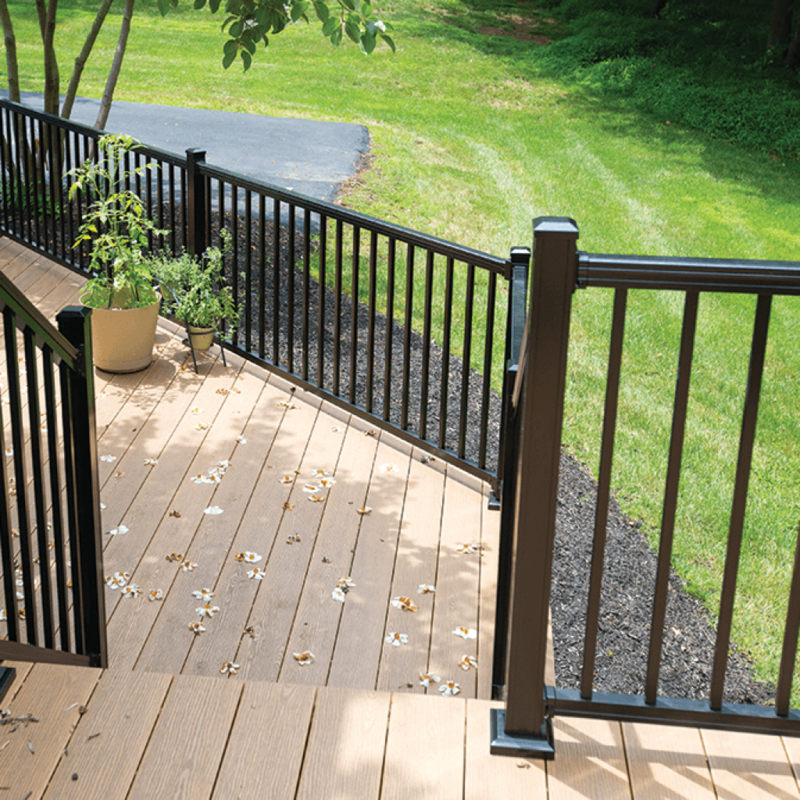 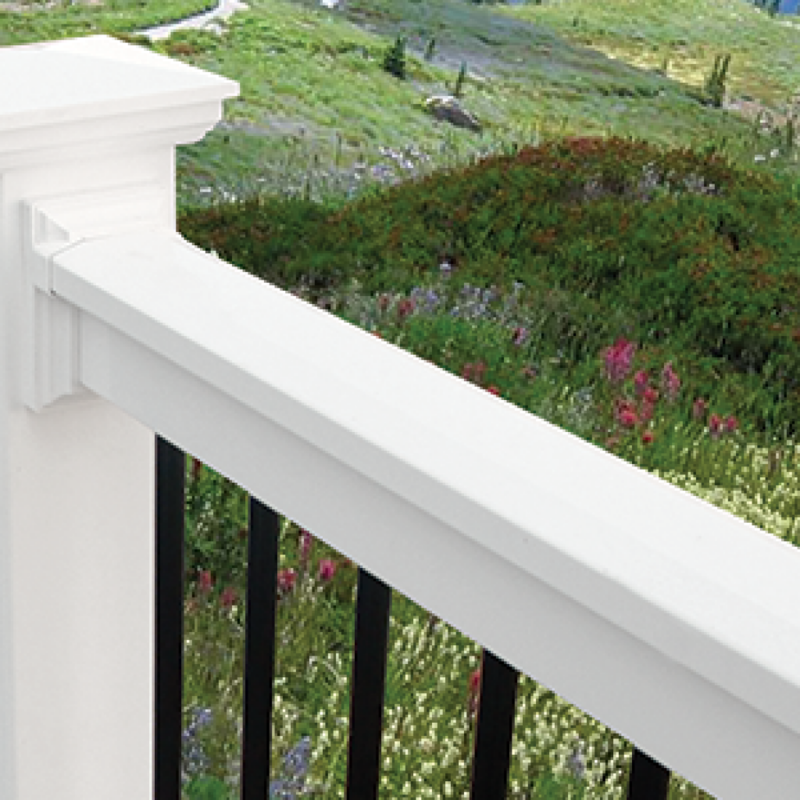 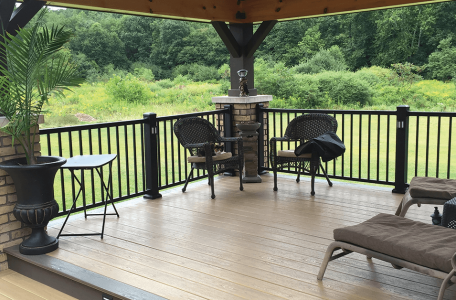 A rectangular 2″x 3-1/2″ vinyl railing that mimics the look of a traditional wood 2 x 4 porch or deck railing, but with all the benefits of low maintenance vinyl. 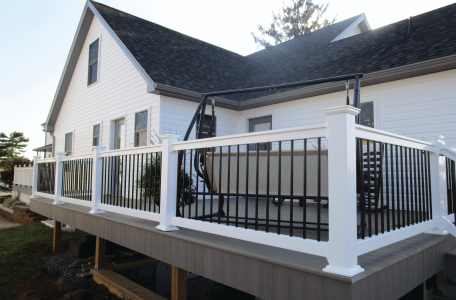 Top & bottom aluminum channels that provide both strength & stability.